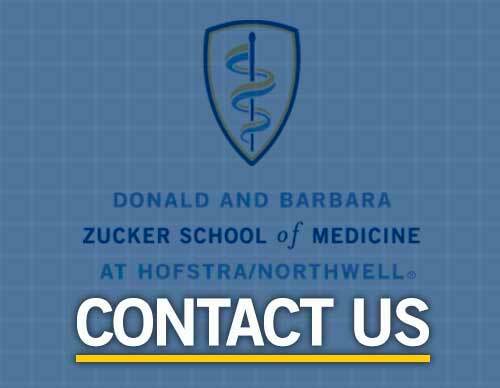 The Donald and Barbara Zucker School of Medicine at Hofstra/Northwell and the Department of Biology at the Hofstra College of Liberal Arts and Sciences invite high school students to participate in the annual Long Island Brain Bee competition. This event exposes young students to the study of the brain early in their academic careers, and aims to motivate students to pursue careers in neurology, Neurosurgery, psychology or neuroscience. The one-day competition is open to Long Island high school students (14-18 years of age). A test to identify anatomical structures and functions in real human brain specimens. Following the laboratory examination, participants will enjoy a lunch and learn with current undergraduates and medical students, in addition to physicians, scientists and professors who are experts in brain biology. At the close of the competition, awards are given to students with the top three scores. The first place winner earns a trip to the National Brain Bee competition and an opportunity to participate in a summer research project at the Feinstein Institute for Medical Research. All student competitors will receive a certificate of completion for their participation in the Long Island Brain Bee. If you are a science teacher interested in registering your students, please contact BrainbeeLI@hofstra.edu. Students who would like to participate must request their science teacher complete the registration process to be considered for competition. Students may participate in only one local Brain Bee competition per year. No more than three students from each high school may participate. Space is limited for this event, interested students are encouraged to register as soon as possible. Deadline is Friday Dec 21, 2018. Registration is now closed. Download and study the Society for Neuroscience's Brain Facts. All questions for the competition come from this book. For sample questions, please visit the International Brain Bee site. For more information, please send your inquiry to the Long Island Brain Bee Committee at BrainbeeLI@hofstra.edu. We look forward to your participation!